Residential smoke alarms are designed to detect smoke and, in many cases, carbon monoxide. 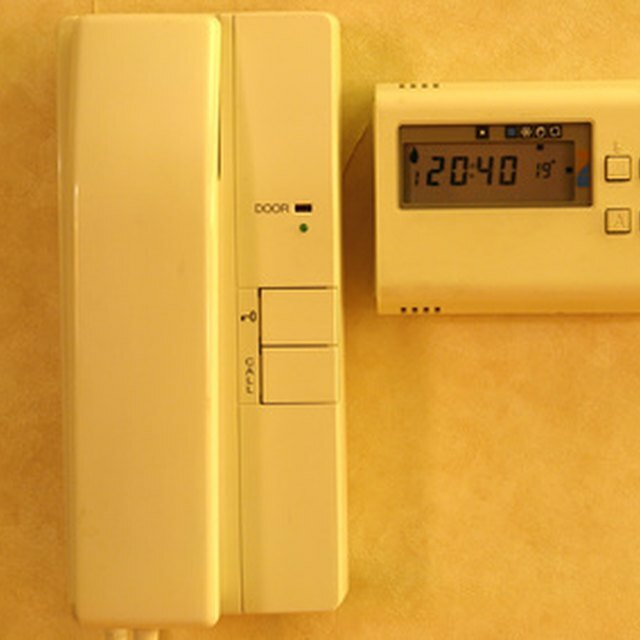 However, there are instances when these alarms malfunction and sound without proper cause. For battery-powered smoke alarms, all that is required is simply take out the batteries to silence the ringing. But hardwired smoke alarms must be temporarily reset or disabled in a different way until the system can be inspected and repaired by a professional. Residential smoke alarms can malfunction and sound erratically. Find the circuit breaker dedicated to the alarm system on the main electrical panel in the garage, basement or laundry room. Open or turn it off to cut off power to the smoke alarm. Enter the main pass code or security code into the system's operation panel. Depress the "Off" or "Disarm" button to disable the system. Take the face plate off the main interface panel by unfastening the screws on either side to expose the circuit board and battery compartment. Using a pair of pliers, gently unhook the wires going to the battery leads. Reconnect the battery wire leads after 10- to 15-minutes pass, allowing enough time for the system to boot down and reset. Replace the face plate on the panel. Turn the circuit breaker on the main electrical panel back to "On" or "Shut" The smoke alarm should now work properly.